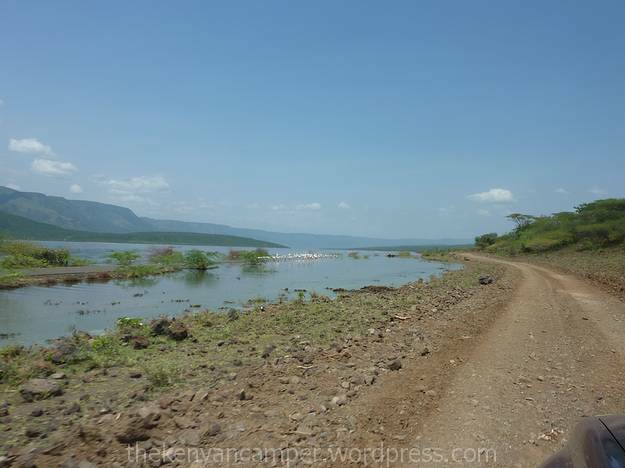 The road from Nakuru to Bogoria has gotten progressively worse over the years but once past the Eldama ravine turn-off its still quite good. The park itself is 285km from Nairobi and 90km from Nakuru so its a good place for a weekend visit, about 4hrs will get you there. 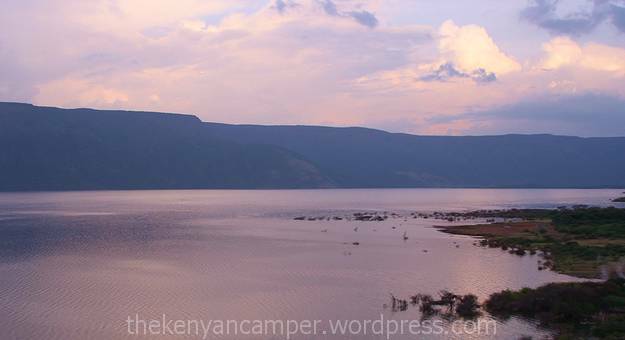 It is better to visit the lake either in the early morning or late evening, as it is fiercely hot at midday so staying a night in the area is a good option. Entry to the park for citizens is Ksh 400 and camping is Ksh 300. It is approx 30min from the main road to the park gate. This is the road surface inside the park, 2WD accessible, only about 20min of this from the gate to the hot springs. So here’s the down low on the park as of my visit. Access to the park is only by Loboi gate, there is no access through Emsos/ Mogotio Gate. 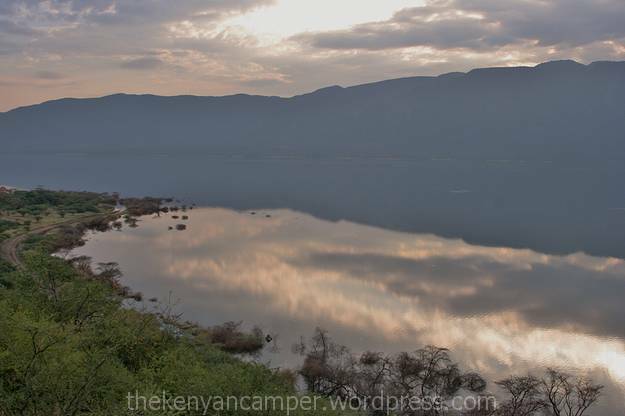 Due to the recent flooding of most the Rift Valley lakes there is no access to Acacia Campsite, Riverside Campsite and Figtree Campsite. Real shame about those campsites, i remember them as being quite nice back in my earlier travels. Rumour also has it there was also once a track running along the eastern side of the lake. Just another symbol of what once was and no longer is. So 70% of the rest of the park is not available to you. The original plan was to camp at one of the other campsites but due to the flooding this was not possible (unfortunate that there was no info on this). I considered not staying the night but the warden suggested i could camp wherever I wanted which sounded interesting. So this is what I found, its called Hanningtons View Point, situated a short 10 min drive on an escarpment right behind the hot springs (why he did not tell me about this place I’ll never know). Looked like no one had camped up here in years. The campsite has 2 of the above shelters so this site will hold about 4 2-man tents maximum, its too hot not to have the additional shelter otherwise. Further more the ground is very rocky and the only flat areas are beneath the shelters, quite unlike the sandy shores at Samburu National Reserve. There are no facilities here. That means no running water, no toilets and no showers. You will have to totally self sufficient. There is no dead wood to collect so you will have to bring your own or do without. NEVER cut trees or shrubs for firewood. The view from there is okay i guess 🙂 .Beyond the eastern shore, the landscape rises abruptly to 600m forming the Siracho Escarpment. You are able to see remaining hot springs and the visitors far below. It is a nice feeling being away from the crowds and having no one know you’re there. If visiting for the day this is a nice place to have a picnic as well, there is a footpath shortcut from the springs to the viewpoint. Word of warning if, you are camping, try and avoid the hot season. This place gets HOT. Even at night the heat is stifling, I recommend a tent with an inner mesh lining. A suitable alternative is to bring a mosquito net and sleep under it. Night brings aggressive mosquitoes and lake midges, carry some strong insect repellent if you want to preserve sanity. Larger groups can camp down at the springs where there are larger flat areas and a bit of log furniture. The hot springs are relatively popular during the day especially with school parties . This creates some problems like solid wastes pollution and destruction of fragile rocks at the hot-springs. Why oh why would you have so few toilets at what seems to be such a popular attraction? Why are they not cleaned? Its wrong seeing people going off into the bush rather than use the facilities. Shame Shame. Shame. 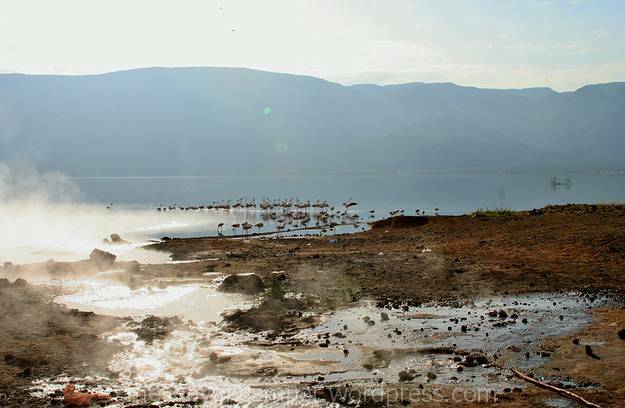 You should be aware that Lake Bogoria Natural Reserve is more of a scenic park rather than a place to tick off the Big Five. 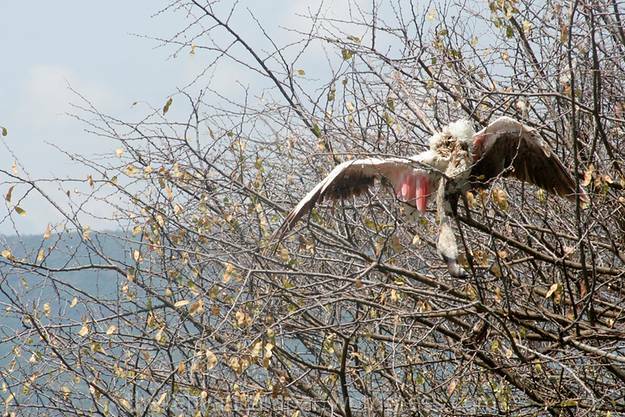 There is however a very large bird population, the famous flamingos (Ive attached a picture of a dead one, if you want to see a live one join me on my Instagram), small mammals and reptiles. 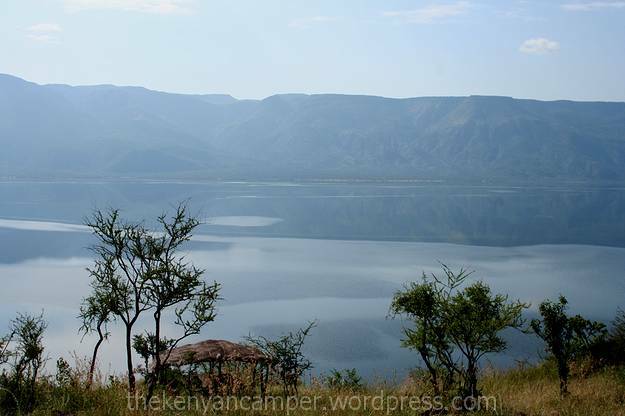 The lake displays a superb scenery of bluish hills populated with dry bush, grasslands and riverine forests, framing the calm waters. As evening approaches the lake goes completely still. All the visitors at the hot springs leave and you are left to enjoy the colours change. All this to yourself except for the distant honking of flamingos. From 6pm- to 11am the next day, your private garden is now a full 107 km2. The only accessible area is the hot springs. Do not miss the viewpoint. Even if going for the day some camping seats would help. If camping carry insect repellent and a mosquito net. Carry alot of drinking water. 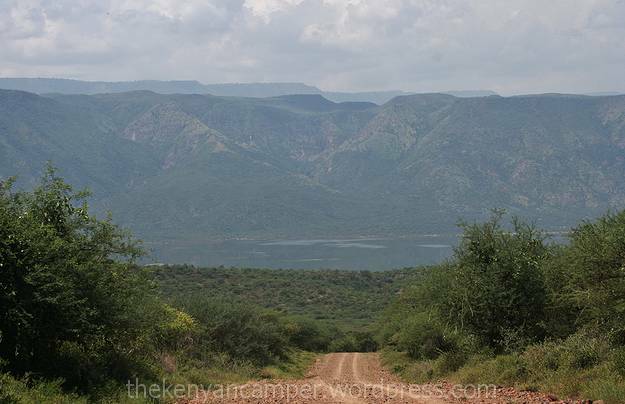 The reserve is sold as “The Jewel of the Great Rift” but i have to be a bit honest here, it reminded me more of a like a tarnished piece of jewellery that someone forgot in the attic. I don’t think there has been much development done here since James Hannington passed through here in the year 18-whatever. Baringo county government has failed in providing their visitors with the most basic of comforts. They seem to have ridden only on the natural beauty of the place to attract visitors without adding the necessary infrastructure. The toilets are too few and need to kept clean. If possible running water should be supplied at various sites especially for picnickers and campers. Shelters from the heat and some basic furniture would go a long way in making visitors more comfortable. Lastly work needs to be done in opening up the rest of the park to encourage longer stays. The heat is oppressive , there is no wind to speak of and the air is thick with mosquitoes. So is it worth the visit? Still a yes. For more information contact the park on +254-732-370114 or +254-700-404462 or visit their website. You should Daniel, its quite the experience. Thank you Mama Mgeni (love the name!). I hope to hear about your trip when you do go! New baby, new tent, sounds perfect. 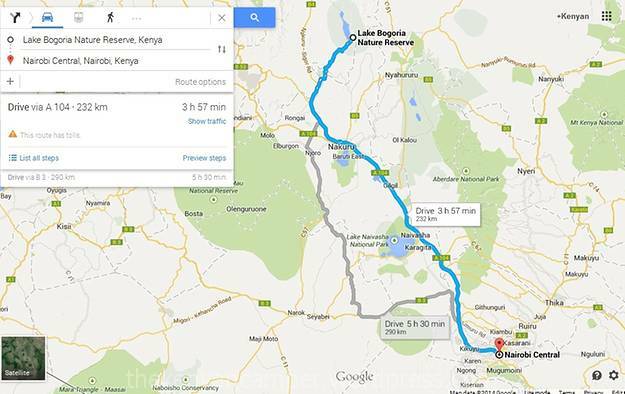 Check your facts,36kms from nakuru? Thanks for catching that error Simon. Edited. Planning to come there n camp on date 8 and 9 july how much is the camping fee..
Hi, all the info I had I shared on the post, best of luck and have a great trip. 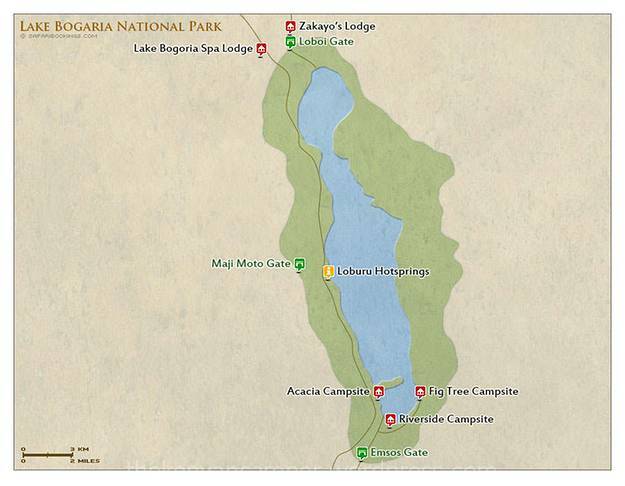 Allow me to advise otherwise,camping in Roberts camp baringo or elsewhere in kampi ya samaki and using your base to visit bogoria for the day either in the morning or in the evening is the best option!have done this several times and its handy,the ittinery is two night in Roberts camp the first night you arrive~ activities in lake baringo early in the morning like boat rides or cliff walks or birdwatching,and around mid day either go for lunch in bogoria hotel and a lovely swim in the spa or the cold pool or (pack a picnic and have it late in bogoria pack after swim as its very hot between 12_2pm,depending on your budget)afterwards visit the park the end of the day as its cool and lovely view!back to your base for the night,with a lovely evening in the thirsty goat bar with lovely mellow music,cold beer and yummy meal,with hippos grazing in front view of the balcony in the pub!early in the morning lovely melodies of birds,you can finish your trip with doing some of the activities,and wind you trip back to your destinations!its expensive camping and you dont get value for your money e.g no showers,toilets,bins and all this you get in Roberts camp as well as firewood for sale for your bonfire!what else can you ask for? 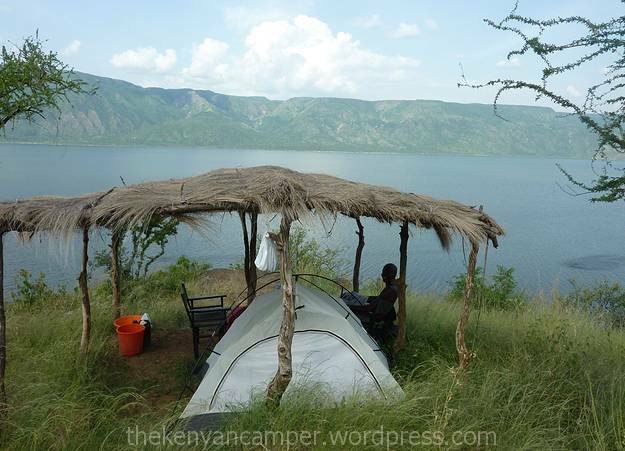 ?dont forget you camp along the shaws of lake baringo!! Hi Macdonald. This is exactly my point, its not enough to say that a place has no facilities so we should ignore it. We need to address the issue and ask the questions that will make the change in the place. I don’t know why you say camping is expensive and not value for money, that is simply not true! 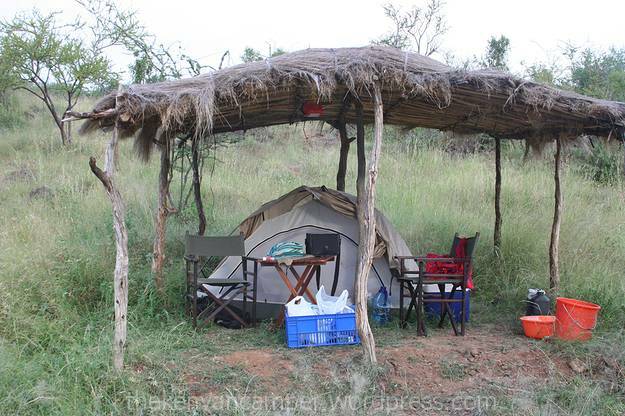 Camping is one of the easiest ways a Kenyan can get to experience the same place as someone staying in 5-star hotel. Not everyone wants concrete walls and 100 other people around them. gorgeous scenery..cant wait to go camping. 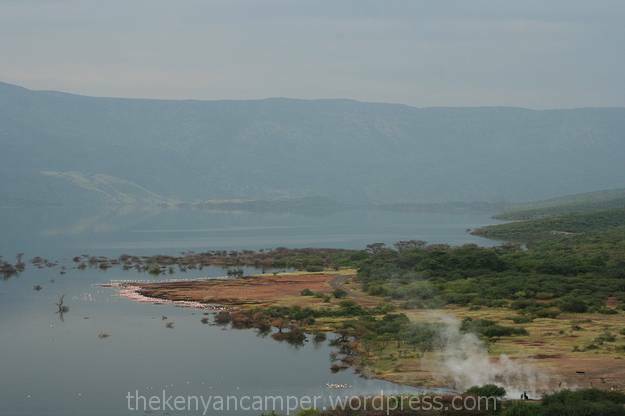 i read all your posts with interest and use them extensively to plan my trips around the country; next stop is lake bogoria…your post from 2014 is ”mildly encouraging”, to put it diplomatically; my question is: do you know if the situation within the park improved over the last 3 years? or is it still the best option to find a place outside the part and do a short day trip to the lake? thamks a lot. Hi Damir, I haven’t been there since so I can’t rightly comment. Personally I always tend to give places a second chance and not write them off completely so I would go back. The choice is yours. Thank you for the kind words, always happy to hear the blog is helping someone.